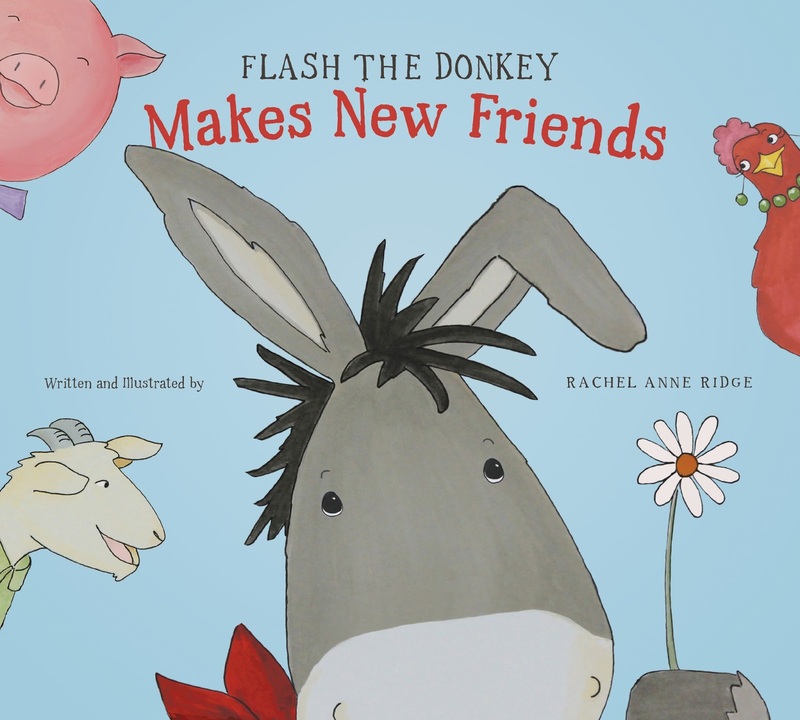 Flash the Donkey Makes New Friends is a story of an adventurous donkey who finds himself in a little trouble at the beginning of his story. In his time of need, he is taken in and cared for by three barnyard animal friends-a hen, a pig, and a goat. The story emphasizes how helping others can lead to friendships and fun. This book is inspired by an actual stray donkey that the author, Rachel Anne Ridge, adopted. The author’s page can be found here. The book is beautifully illustrated by the author herself and includes a fun little extra: a hidden daisy on each page spread that my children love finding. My children, aged 3-8, love the humorous situations and dialogue between the characters. I find myself identifying with Ruby the “mother hen” of the group (I wonder why) and appreciate how she is drawn with a kind, caring look about her face. At the end of the book, the author provides some questions that can be the start of some good conversations with your children. We have recently had friends move away and have other friends who are currently planning a move so moving is on my mind. I can’t help but think that this book would be great for a family that is facing a move or has recently moved. Making new friends in their new place can be difficult for children and adults, alike. The discussion section provides several great examples of ways to help others that can lead to new friendships such as: Help someone who is having a hard time with a chore or task. The author even offers a free download of a Mommy & Me Journal with activities, more discussion questions and coloring pages on her website here. I was given a copy of this book by Tyndale House for review purposes. I want to share this book with you so I will be giving away our review copy to one River Region Family reader who has a U.S. mailing address. The contest will end on 10/30/16 and I will pick a winner the next day. To be entered to win, comment on this blog post with an answer to this question. What is a practical way to help others and make new friends? Disclaimer: This giveaway isn't sponsored by Tyndale, they just gave me the book to review. I am choosing to share it by giving it away myself. You can take some cookies over to a new neighbor! I think taking the first step and introducing yourself to others is a great start.